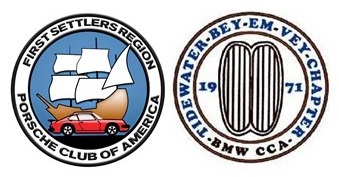 Join your fellow FSR members for some great food, cars and camaraderie with our friends from the local BMW club at our 4th annual Joint BBQ. We'll have a handful of cars to check out, and you can bring your fishing gear and try your luck at landing that monster trout.... or carp. Place: Ron Boustedt's place, 3585 Kentucky Trail, Chesapeake. Menu: Brats, Ribs, Chops, etc. Bring an appetizer or side to share if you like. If you have a special drink preference, BYOB. Price per person: NO charge.... it's on the club! We do need a few volunteers to arrive a little early and help park cars, so if you can help, please email Vince at vjc15@cox.net.